The once thriving tradition of public markets in the United States can be seen in all too few cities today, Boston among them. The city’s historic Faneuil Hall and Quincy Market were long ago converted to a tourist-oriented “festival” market. Nearly next door, however, the historic Haymarket has continued operating two days a week year-round as one of the largest street markets in the U.S. Haymarket’s 100 vendors sell mainly inexpensive produce from the city’s wholesale market, attracting some 15,000 daily shoppers of nearly all ethnic backgrounds from across the city. 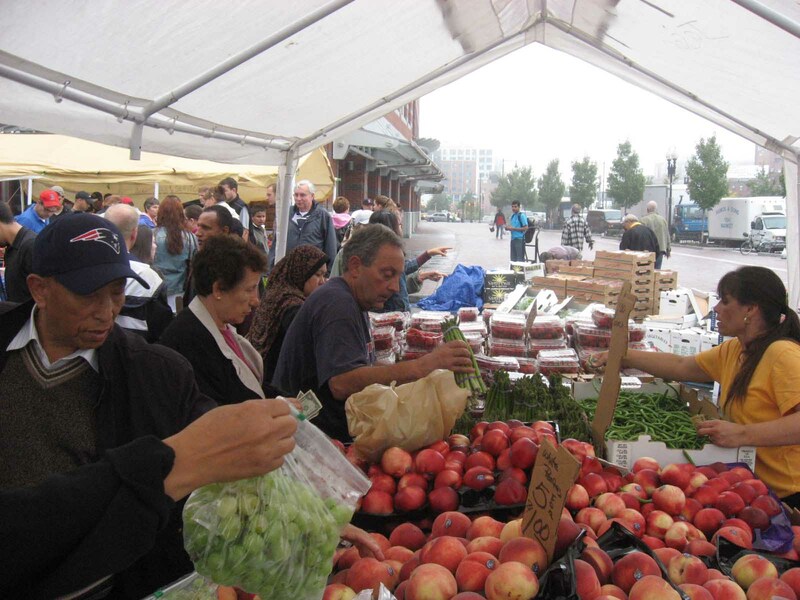 The market is an essential part of the Boston food distribution system, especially for low-income consumers. Working with the Boston Redevelopment Agency, PPS was charged with developing a strategy for enhancing the operation of Haymarket, while creating a public market district around it and thus growing the market into its surrounding area. For years, the market has been overcrowded, unattractive and in need of aesthetic improvements. With Haymarket at its core, PPS found the essential ingredients for a market district in place including a choice location, considerable spending power, and year round foot traffic. PPS conducted surveys and on-site research to generate a list of suggestions for Haymarket ranging from alternative layouts to creating a modern “green” trash facilityIn addition, PPS assessed the feasibility of creating year-round indoor markets next to Haymarket in two publicly owned parcels.PPS recommended creating an indoor public market that will be “center of the Boston food world” on Parcel 7 in currently vacant ground level retail space, in addition to an indoor-outdoor market on Parcel 9 as an extension of Haymarket to allow new year-round food operations. Development proposals for each site are currently in review.